My choice of art materials over the years has largely been steered by two factors, affordability and practicality. 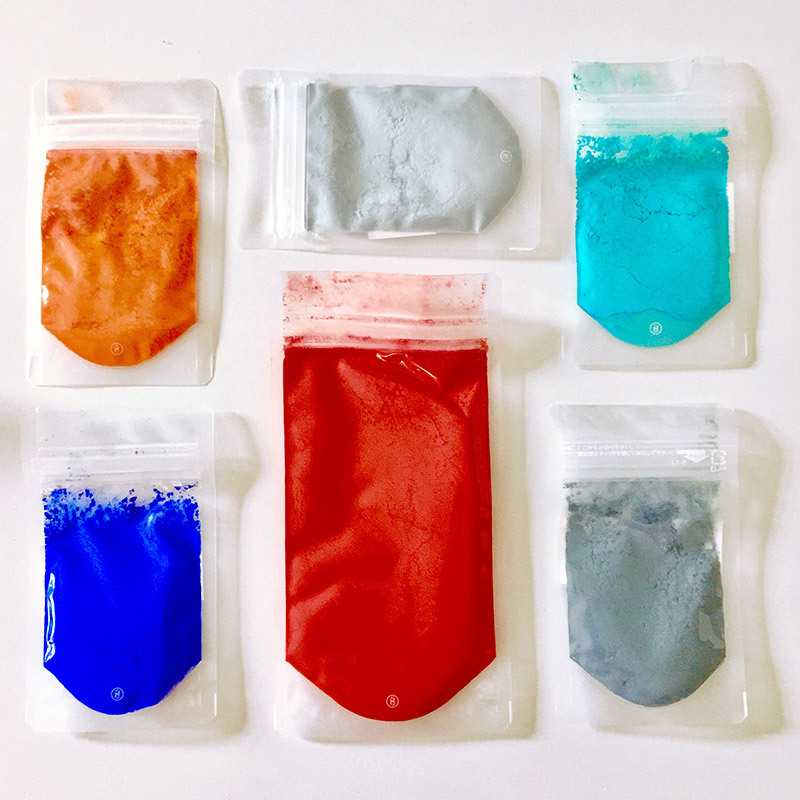 Dry artists pigment have never been on the radar for me, at least not until I discovered the coolest art store in the whole wide world – Pigment Tokyo. I started off many years ago as a diehard oil devote, seduced by the lush nature of its application and the vibrancy that it sustained. But whether it’s down to cost, the lack of ventilated working space or simply the need for speed, acrylics have largely ticked all the boxes for me. 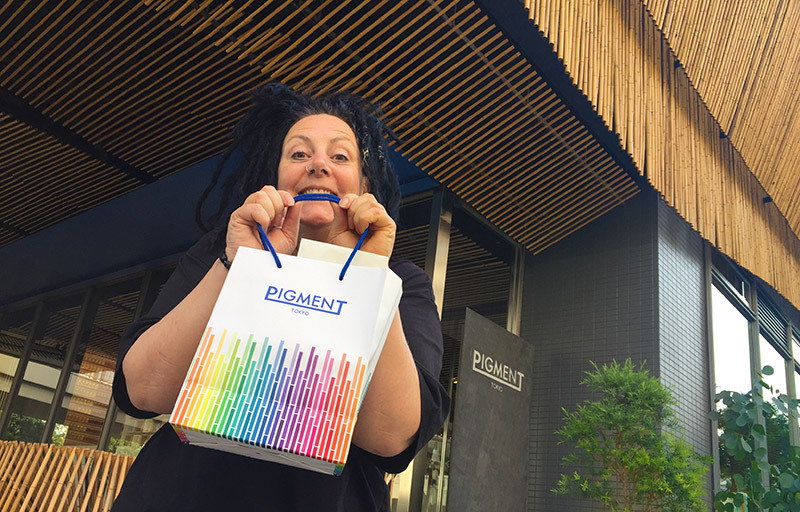 So, during my research for a trip to Tokyo, I came across a place called Pigment Tokyo and knowing nothing about working with this dry artists pigment I decided it would make for a worthy pilgrimage. It almost makes me ill to think that I may have missed it. On first approach the establishment itself is quite corporate in appearance, definitely not screaming “come in and touch everything”. But I’d come so far, so I braved the door. Once past what seemed an equally corporate reception area I was rewarded by a kaleidoscope of colour. 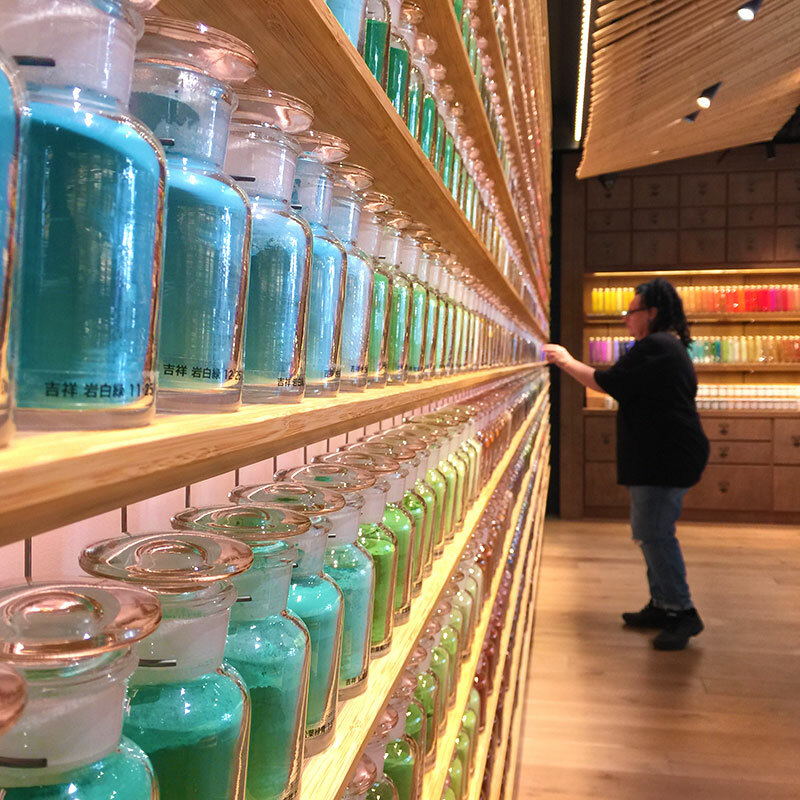 An entire wall, floor to ceiling of glass jars, beaming with pigment. 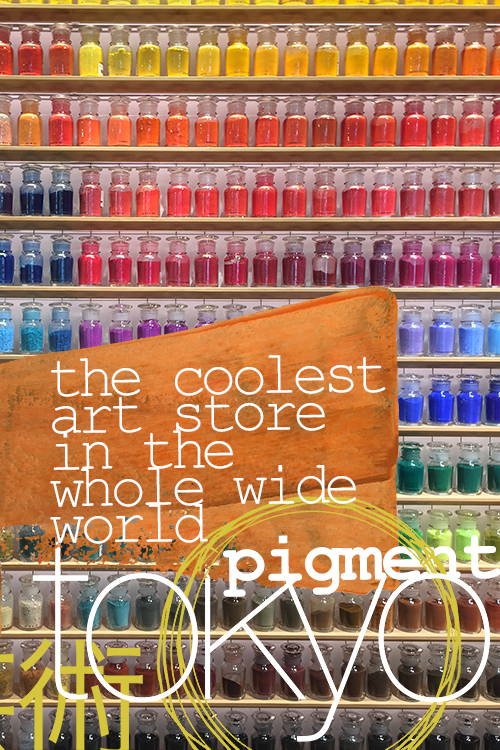 I was a pig in pigment heaven! After several laps of the central counter, not pausing in fear of being removed for my obvious unsuitability, I slowly gathered my faculties and reeled in my dropped jaw to brave first contact. 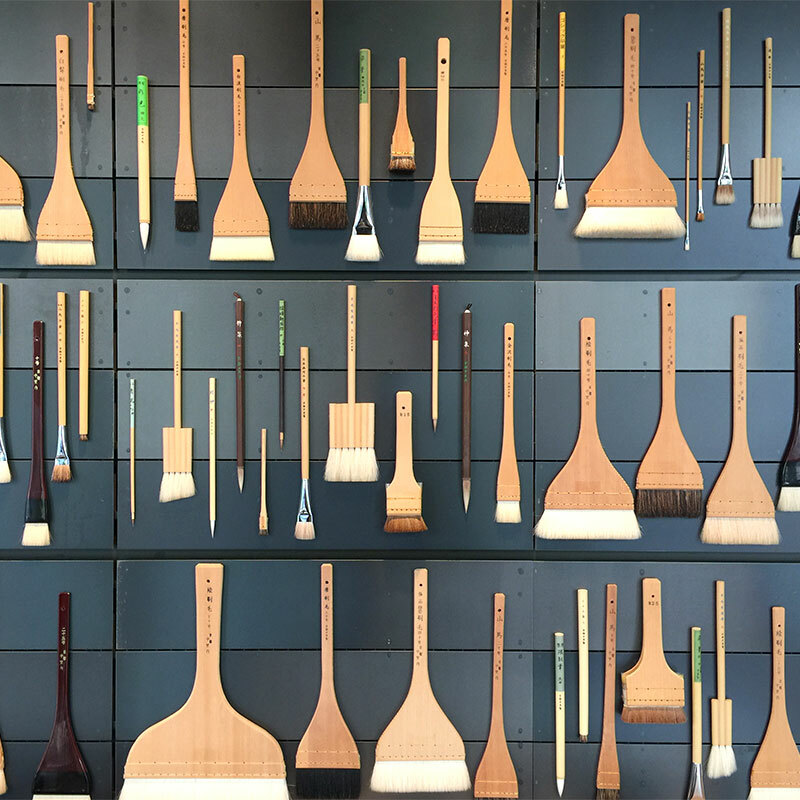 Apart from the lavish display of pigments, the selection of tantalising brushes was equally overwhelming. 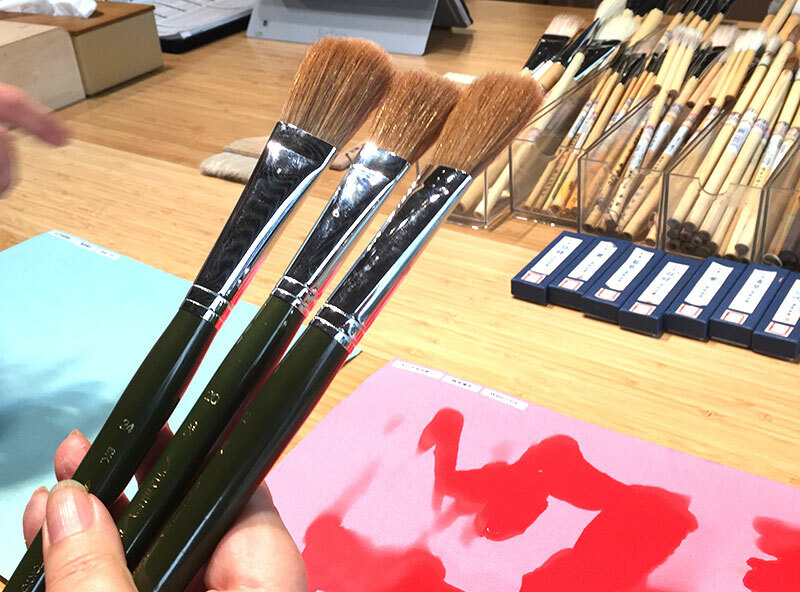 My obvious delight with my new found nirvana was enhanced with a friendly invitation by Masayoshi to test drive the vast selection of brushes. It was quite something to give these puppies the once over. 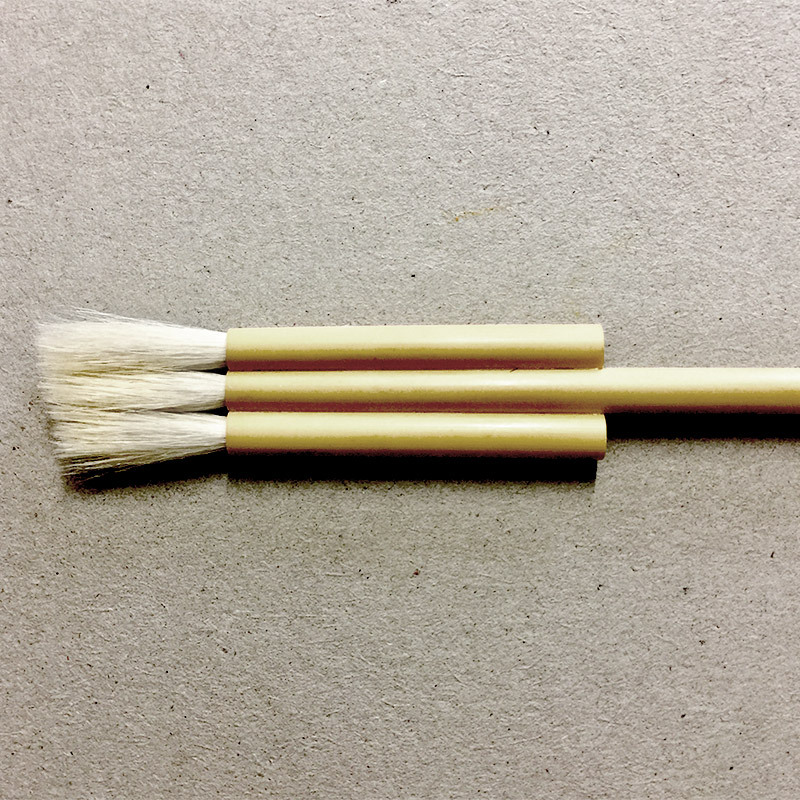 Having the opportunity to experience the huge differences between each brush and its application potential was fascinating. 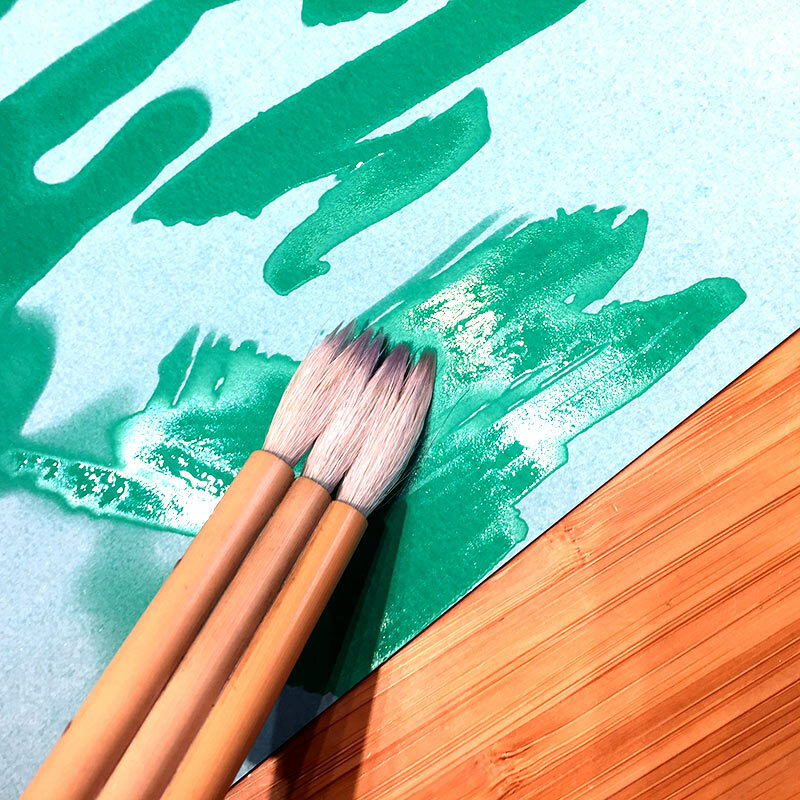 Historically I have largely achieved mark-making from repetition rather than by employing the right tool for the job! In retrospect this has heightened an awareness and desire to yield better results by reevaluating the execution of the mark-making process and placing less importance on the resting mark itself. Lust soon blossomed after spending some time with a selection of three brushes which I can only describe as driving a classic sports car compared to using my push bike with a flat tyre! 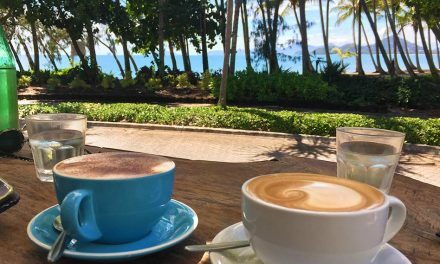 Could I be really be indulgent and walk away with all three? 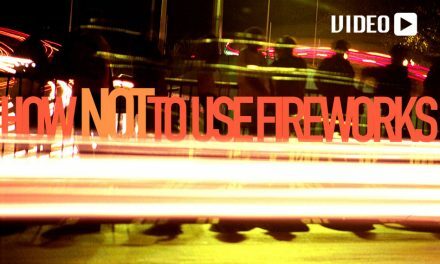 Or does sense prevail and do I have to choose? Well… neither. On quizzing my very helpful assistant I was informed that to bag these three sable beauties I would need to part with ¥100,000 (approx.AUD$1230 / USD$940!). I swallowed my pride and started my process of elimination once again, this time with a prerequisite of a price tag being attached before bonding could commence. I eventually a brush not familiar to me or my practice, which in many ways is a delight in itself as it opens up new possibilities and after all, that’s what I was looking for. It was slightly lighter to the touch on paper, a combination of goat and horse hair at just ¥3,500. It seemed wrong somehow to slap this brand spanking new brush up against some unworthy piece of scrappy sketchbook so I did what any respectable artist (addicted to all things shiny) would do and selected a small bamboo watercolour pad at the reasonable price of ¥1200. Now to get my head around the pigment selection!!! Having never purchased dry artists pigment before this was going to be interesting, that and my Japanese language skills not stretching beyond counting to ten. I loitered before the monument of colour and was handed a tray on which to place my selected jars. By what I could gather, like any paint, there can be vast discrepancies between prices. This pigment was sold per 15 grams, ranging from ¥500 to ¥5,000 – needless to say I was discretely spinning each vessel around to check the price before placing it in my tray. 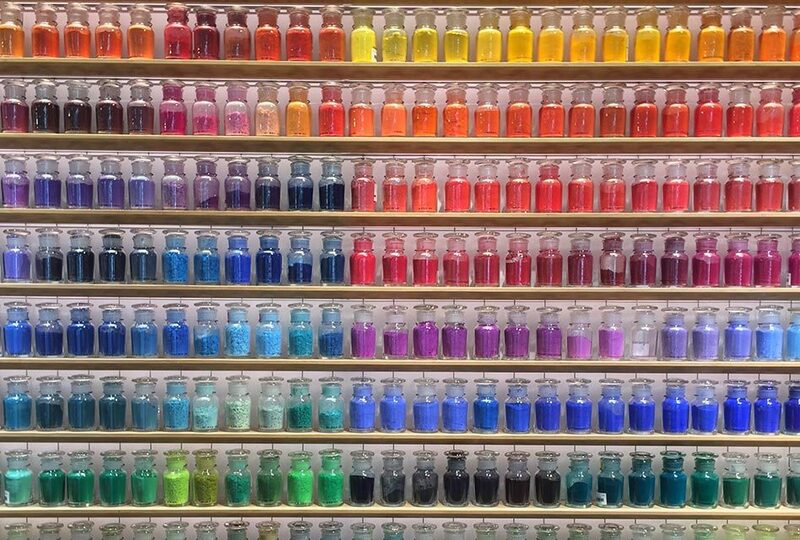 Selection made, my jars where whisked away and returned to me as little plastic bags full of colourful powder. Tainting my excitement somewhat was the possibility of these powder samples being misconstrued for something far more sinister at customs. Perhaps my brief visit to Japan might be extended! After a good hour in this store I left ¥11,500 (AUD$140 / USD$108) lighter but with some awesome kit which I can’t wait to road test… oh, and a big grin. 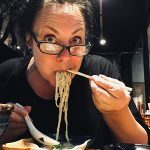 I’ve found some great buys on Amazon – I do get a small commission if you purchase these products, but I wouldn’t promote them if I didn’t have them or don’t really want them! 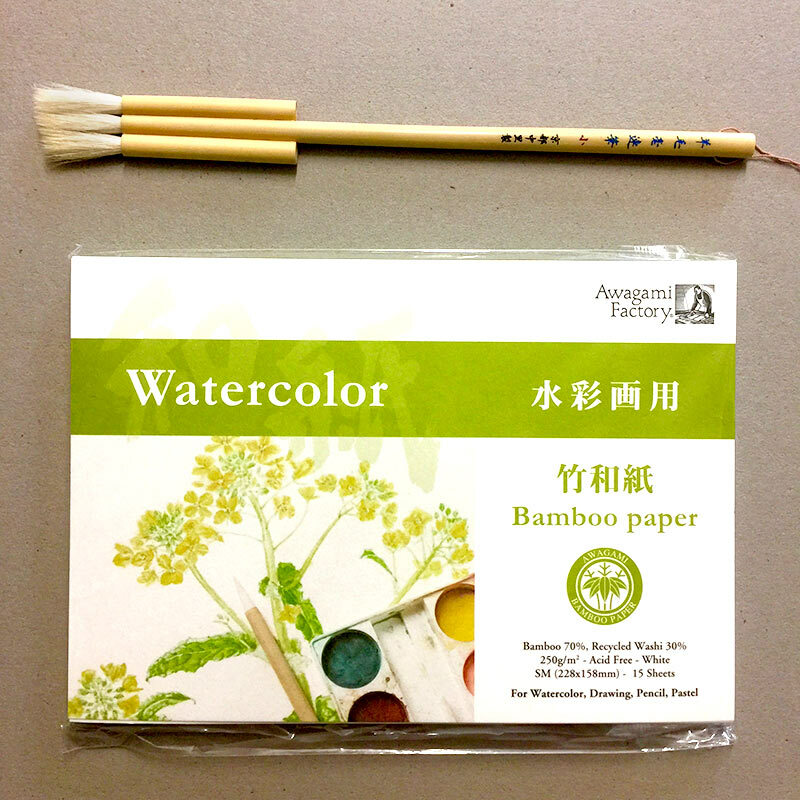 There’s a cool acrylic paint set which is great for field studies or small artworks or if you want a larger choice of ready mixed paints the second is fantastic buy! Also, I bought a fantastic book on Japanese Ink Paining whilst I was there but left it behind.. duh, so this one is on my list. Best to take the train, get yourself a Suica / Pasmo Card (both card types do the same thing) – get them at the black machines at most stations, you can redeem the deposit and credit amount when you’re done with it. 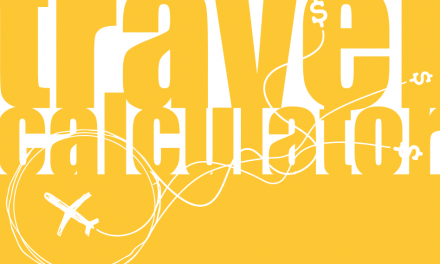 *Please note this train line is not covered on the tourist metro passes. From Shibuya Station it’s just a 15-20 min train ride on the Saikyo Line at the JR terminal. 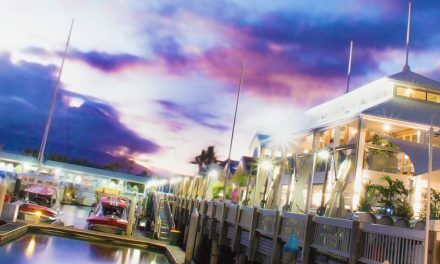 Hop off at Tennozu Isle Station – it’s just a 5 minute walk. 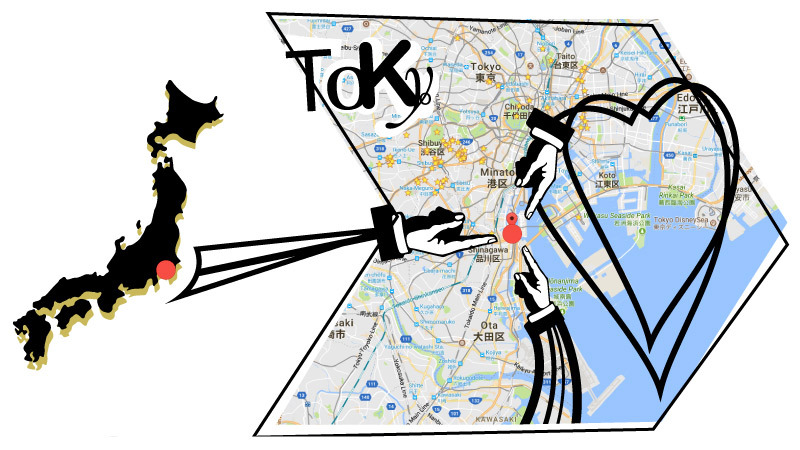 *Check out this google map from our post Tokyo – A Japanese Art Tour in 2 Days.